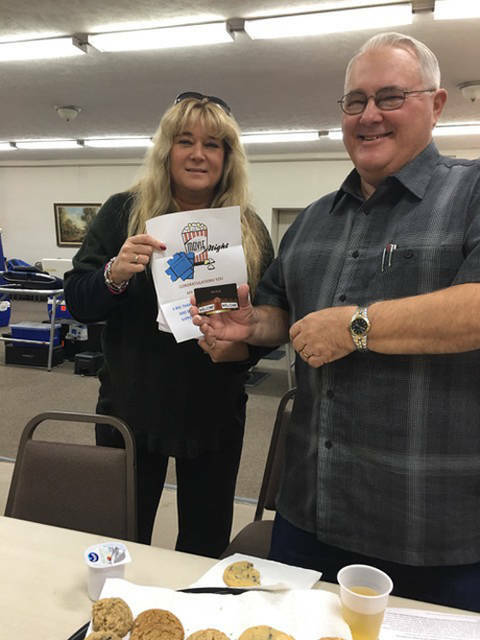 Melinda Frech (left), coordinator of the Union City Lions blood drive from the Community Blood Center, is pictured with drawing winner Mark Cline. UNION CITY, Ind. – The Randolph Nursing and Rehabilitation Center provided a prize at Monday’s Union City Lions blood drive. The winner of the $25 gift certificate to the Town Square Theater in Winchester, Indiana, was Mark Cline of Union City, Indiana. The UC Lions blood drive Chair is Doug LeMaster.